Rini Dhumal (b. 1948) is a veteran art book maker, who completed her BFA and MFA from M.S. University, Baroda. Prior to her formal art education she also trained under K.G. Subramanyan and Somnath Hore. 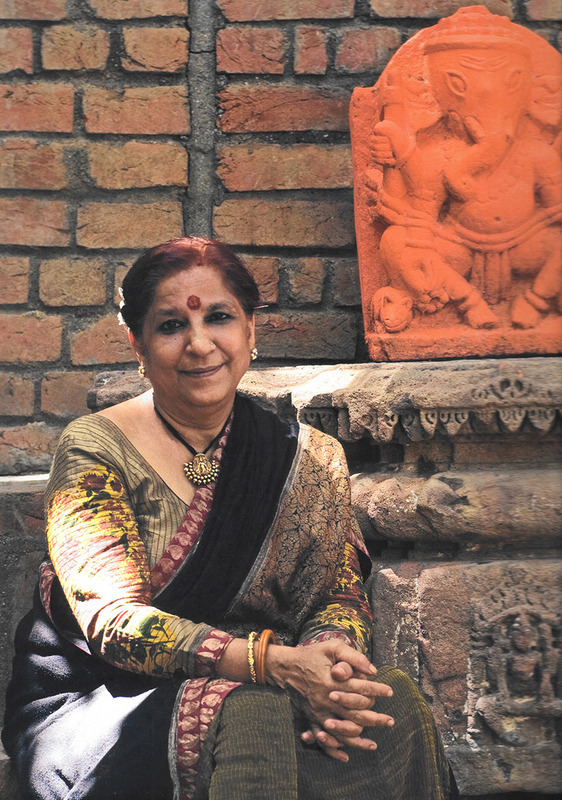 Over the last 30 years, Rini has had several solo exhibitions including at Art Alive (New Delhi), Cymroza Art Gallery (Mumbai), Contemporary Art Gallery (Ahmedabad), Gallery Chemould (Mumbai) and International Foyer (Paris). well as the 6th British International Print Biennale (UK), and the Print Biennale in Madrid, Spain. She was awarded a Travel Grant by British Council for Printmaking in the UK, and also the Senior Fellowship, Ministry of Human Resources (New Delhi), M.S. Randhawa Award, AIFACS (New Delhi) and the National Award, Lalit Kala Akademi (New Delhi). Rini lives and works in Gujarat.